Last week I accomplished a goal that I had been working toward for the past six years - 2,304 days to be exact but who's counting?! I completed my doctoral program - Ed.D. in Teacher Leadership from Walden University. There were many times during those six years that I didn't think I would finish. In fact, I gave up twice - each time for about two days before jumping back in again. When I completed my course work in the summer of 2011 I thought that the difficult part was behind me. I naively thought, "I think I'll be able to really get after the dissertation since it I really like my topic (social studies teachers' use of Twitter)". But my problem would not be the topic. Instead my biggest obstacles ending up being time management and the mental hurdle of trying to tackle to the most comprehensive writing project of my life. I like to read. I enjoy research. I truly wanted to finish this degree but for years finishing the dissertation was like a 1000 pound gorilla on my back. It was always there and I seemed to be making so little progress. I read books on tips for finishing your dissertation. I talked to friends who had completed their doctorate. Some things worked and some things didn't. I think that finding what works as you write your dissertation is a very individualized process but I thought I would share some of the things that helped me in hopes that be sharing them it might help someone else. I do not consider myself an expert in any way. In fact I think that the fact that I did struggle might make these tips more applicable to someone else who is searching for ways to fight through some of the same issues. I like to write. I've had numerous articles published over the years and I typically enjoy the process of writing. I typically make revisions to my work but generally when I write I try to spend a lot of time on my first draft to make it as good as possible. I guess I would rather spend more time on the first draft instead of a lot time on the back end revising. That is not the best strategy to employ when writing your dissertation. There would be long time periods without a draft submitted my chair. She told me that when I did send her a new section it was typically really good but that if I dialed back my personal expectations for each section I would able to submit more and then we could work on the edits and suggestions. It all made sense to me, it was just hard for me to do. I started to make a lot more progress once I abandoned the desire to write really well on the first draft and just write. I have told my broadcasting students when they are first writing their feature scripts to just "vomit out the words" and then clean them up later (I do teach at a middle school so gross and graphic analogies work well with my clientele). While working on my dissertation I kept a journal, not as a source to keep all of my information and citations since much of that was electronic in nature and on my computer, but rather to keep myself on pace and remind myself of things I needed to accomplish. 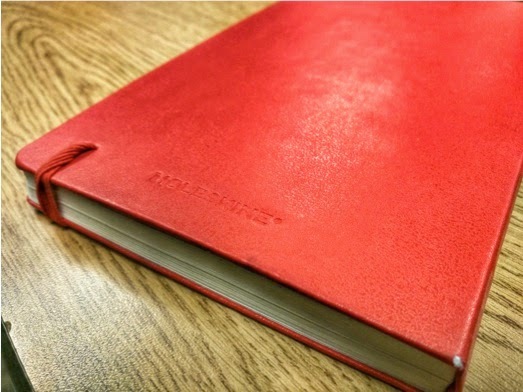 I love keeping journals - Moleskin and Field Notes are my favorites - so early on in the process I bought a black Moleskin classic notebook and when I filled that up my wife bought me a red Moleskin classic notebook as a Christmas gift last year. Every time that I sat down to work on my doctorate, regardless of how much time I spent, I wrote down what I was working on that day. A noticed a big jump in productivity when I started writing down a goal for each day in my journal. It didn't have to be a huge goal - it could be as simple as taking notes on a journal article or two - but writing a goal down in my journal really helped me focus. I also used my journal as a place to celebrate successes and milestones. I would draw a little doodle here and there to help mark accomplishments and I also added stickers to my notebook. One of my favorite places to work was Caribou Coffee and they give you a little sticker to put on top of your cup instead of drink stoppers. I would always ask for these little stickers - they have a ton of different sayings, graphics and designs - and then I would place them in my notebook. It was just a fun way for me to add some color and personality to this journal that I carried around with me everywhere. Now that my dissertation is finished I'm glad that I have these journals to go back and look at as a reminder of the work I accomplished on my study, when it happened and where I was when I worked on it. There are the "behind the scenes" story of my doctoral journey. Years from now I will probably look at these notebooks more often than rereading my dissertation. One of the toughest challenges for me mentally was overcoming the concept that I had this enormous project to work on each day. The weight of having this 200 page document as a final goal was suffocating. At some point I saw a tweet or a Facebook post that said, "When eating an elephant, just take one bite at a time." For some reason that really resonated with me that day and it became sort of my mantra during the rest of the process. All I could focus on was what I was doing to do THAT DAY to get closer to my goal. The speed at which I was moving forward wasn't as important as the fact that I needed to keep moving each day. Once I started to focus on the little things I found that eventually the big things would take care of themselves. 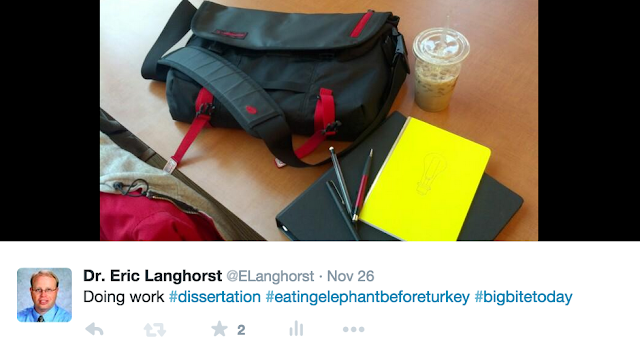 At one point of frustration in the dissertation writing process I read several blog posts and articles on tips for writing your dissertation (very similar to this one!). One of the articles mentioned always "parking your writing on a hill". Once I started devoting time each day to working on my dissertation I found myself sitting down each day for an hour or so and then spending a considerable amount of time wondering what I should do next. It was difficult to jump in right away and flip on the "dissertation switch". Parking your writing on the hill refers to always ending your work at a point so that the next step is there and ready for you when you return. It is a little like sitting down to eat a meal and stopping right before you are completely full. When I parked my writing on a hill it was always clear where I should pick up the next time I sat down to work. I tried to always write what my next step would be in my journal so when I sat down next time it was already waiting for me. I wanted to try and work on my dissertation in a way that would not take away time from my family as well as allow me to continue to work and do a good job on my primary job as a middle school teacher. I think almost everyone working on their dissertation has this issue in some capacity. It has been my observation that most people working on their doctorate are not the type to have a lot of "extra" time on their hands. For a while I tried working late at night after the girls went to bed. This worked some nights and others I basically fell asleep while trying to work on research. For a couple of weeks I tried getting up at around 4 AM and working for several hours until heading off to my job as a middle school teacher. This might work for some but I soon realized that was not going to work for me. One time of day that worked for me was devoting at least an hour in the afternoon once the school day was done before heading home to the family. Sometimes meetings and other events cut into this time but I tried to make it work as often as humanly possible. Down the stretch my favorite time to work was early in the mornings on Saturday and Sunday. I found that if I got up and arrived at the Caribou Coffee shop at 5 AM when they opened, I would work until 8 AM or 9 AM and get some quality hours of work in before heading home to the family and the activities we had going on that day. I felt good about starting my day by getting some work accomplished and instead of the hour or two a day that I was able to sneak during the week, I could get 3 or 4 hours of uninterrupted work in at a time. The process of writing your dissertation and the process to gaining approval is complex at any institution. In the early stages I was confused and did not really understand the steps that were in front of me and as a result probably wasn't as efficient with my time. As I advanced in the program I spent more time getting familiar with the steps of the program, the time frames for review processes, what to expect at certain phases, etc. I asked my committee chair a lot of questions and made it a priority to understand what steps and tasks would be required of me in the future as my dissertation advanced. I think taking time to understand the doctoral process for your program is important and in the end saves you time and effort. This is a topic I have discussed with several friends who have earned their doctorate or are working on their doctorate. In my opinion, having a supportive committee chair is a very important part of a successful doctoral journey. I was very fortunate to have a very supportive and helpful committee chair. In my program I was assigned my chair, in other program students may have more voice in the process but I can only speak from my own experience. At the start of my writing my dissertation I had trouble making progress. My chair never gave up on me but also didn't nag me about getting work done. She was supportive and helpful and when I did finally dig in to work on my research she was responsive and helpful at each turn. We often had Google Hangout visits about my progress and it also allowed me to ask questions. Some of my friends have had their committee chair leave the institution in the middle of their work or have had issues with their chair not responding to questions. I had neither of these issues and I always felt as though my chair was their to support and help me in this process. It can be very scary for someone who has never gone through this process and it is critical to have a chair you can trust and learn from as you complete your research. I have marveled at the ways in which I has able to utilize technology during the dissertation process from accessing research articles, finding information, analyzing/coding data and managing citations. I honestly cannot imagine the difference in the amount of work necessary to do these tasks prior to the age of the Internet. I have told people that I think people who earned their degree prior to the Internet should have a special star next to their degree to denote they did it "the hard way". Learning to master the tools now available is mandatory for the sanity of any researcher. Perhaps the most important tool I learned to incorporate during my research was Zotero. Zotero is a free, open source reference management system maintained by the Center for History and New Media of George Mason University. In can't image how many hours Zotero saved me in terms of saving, organizing and citing resources. I won't go into a full tutorial here but if you are doing any research this is a tool that you MUST check out. I also did a lot of work with my data in Google Sheets and Google Docs. I transcribed the interviews I conducted for my research into Google Docs. While coding the transcripts I had 11 themes that I was tracking. I used different colors to represent different themes in the interviews and this made it easier to visually sort out and organize the themes among different participants. I also created unique hashtags for each participant and specific mentions so that I could do a quick search for that particular hashtag later. Typically it was a # and a two letter code so when I did a search it showed me quickly where it was in the transcript and not confuse it with any of the text of the interview. Having some of my data on Google Drive also provided me a cloud backup that was protected by passwords. Selecting your research topic is obviously a critical part of your doctoral process. You will be working with this topic for hours and hours, month after month so you should select a topic which can hold your personal interest. My dissertation topic, how social studies teachers collaborate using Twitter, is a topic that I both felt comfortable with and enjoyed learning about during research. I also had to approach my research topic by stepping back and looking at the issue from different perspectives. I cannot image working as many hours as I did on a topic that did not hold my interest. Select a topic you believe you will be be comfortable thinking about while you are driving in the car, waiting in line at the grocery store and while falling asleep at night. One thing I enjoyed about my research topic is that it is relatively new. During the two and half years that I wrote my dissertation there was a lot of research published on teachers using Twitter, social media in education and the power of educators working collaboratively online. I think having a topic with some current day relevance is a plus and helps maintain fresh perspectives. I tried working in a variety of places - home, school, the library, coffee shops, etc. At different points in the process I worked at all of these and the each have advantages and disadvantages. I typically found that if I was at home there were just too many things to keep me off track. I would want to go start a load of laundry, go check on one of the girls, etc. My classroom at school had plenty of space, a quality WiFi connection but just like at home - there was also something that I could be working on instead of my dissertation. I found that going to the public library - and we have some AWESOME libraries in my community - or a coffee shop worked well for me. I know what you are thinking - isn't it really expensive to get a $5 mocha every time you want to work on your dissertation? 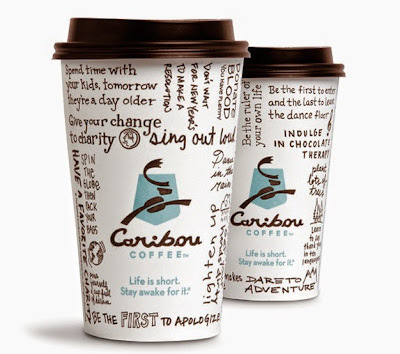 I often went to the Caribou Coffee here in Liberty which is connected to a connivence store. They have a great place to work, consistent available wifi and some great wooden tables where I could spread out some of my materials. Sometimes I would get a mocha but a lot of times I would just get a 75 cent soda from the convenience store and get to work. I was in a lot and the staff didn't have a problem with me not getting a mocha every time I was in - I was in enough and my wife loves coffee so I would often bring one home to her after working. I even mentioned the Caribou Coffee in Liberty in the acknowledgements of my dissertation. My final tip is perhaps the biggest. When I say family I mean everyone around you who supports you - your family, your work family, etc. I cannot express how helpful and supportive my wife was during this process. When I started my doctoral coursework our daughters were one and six years old. Working on your doctoral for most of us is an "extra" thing that we do in addition to our regular job and our responsibilities to our family. She always let me go work on my dissertation in the evenings and on weekends while taking on more work at home. She listened to me talk about super exciting topics on car trips like the theory of communities of practice and how I should code my qualitative data from the transcripts. I honestly feel as though this is something that we accomplished together. My daughters were also great. I had to miss some time on the weekends that I would have rather spend hanging out instead of writing but they also celebrated with me every time we reached a milestone. We all went out as a family after the final section was sent in for approval and instead of eating a meal we just had a bunch of desserts at a restaurant. One of the best feelings once it was over was my 7 year old asking if she could now call me "Dr. Dad". I hope that some of what I learned during my dissertation process will help someone else. It was a long and difficult process for me but I feel as if I learned a lot about myself in the process and it does feel great to finally reach the finish line. Good luck and remember to eat your elephant one bite a time. Thank you for your advice on finishing your dissertation! I collected all of my data between January - May, 2015 for my qualitative case study. Now, I simply need to start "eating this elephant one bite at a time" and get this finished. I have given myself until October of 2016 to get it done--80 pages written so far (chapters 1-3). I am just organizing data before I start coding. I'll get there. I appreciate your advice so much--it makes me BELIEVE that I can do this despite being a father of 3 daughters and my career as an elementary school principal. Thank you!